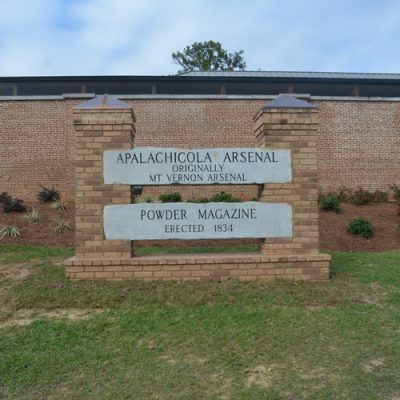 Apalachicola Arsenal Museum and Conference Center is located in Chattahoochee, Florida. 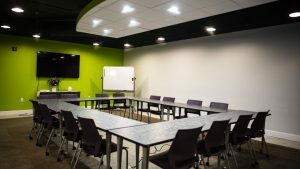 A full-service center for hosting academic conferences as well as government meetings, non-profit, business and community events, association programs, corporate seminars and professional development events. 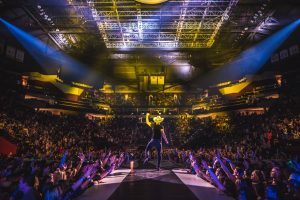 The Donald L. Tucker Civic Center at Florida State University is North Florida’s Premiere Entertainment & Convention Center featuring a 12,500 seat arena, Luxury Suites and Club Seats and over 54,000 sq. ft. of meeting and exhibition space plus an arena view restaurant, Spotlight Grille. 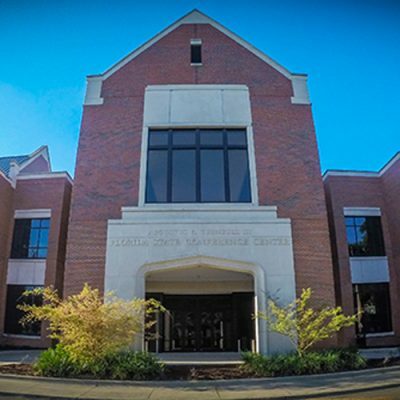 The Tucker Center hosts a wide variety of concerts, family shows, Broadway shows, and sporting events including FSU Basketball. 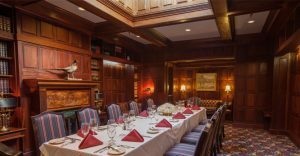 The Governors Club was founded on certain principles. Chief among them were providing a comfortable and elegant environment for social gatherings, serving excellent food and offering outstanding service. New Midtown Gift Shop & Art Collective We offer retail space for artists and small businesses to sell gifts in a positive, upscale, fun, creative and supportive atmosphere. Meet our artists and enjoy a night of fun every Second Saturday from 6pm-9pm. Check out our weekly events and workshops on our Facebook page! 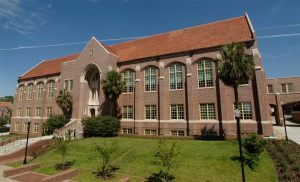 The Lafayette Arts and Crafts Center has been serving the Tallahassee area for over 50 years offering classes and programs for both youth and adult. 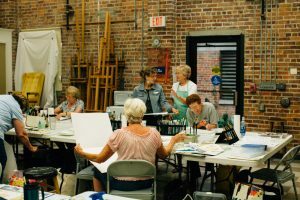 Every quarter the center offers classes such as Pottery, Stained Glass, Crochet and Drawing. The center also offers a summer art camp and various workshops and holiday classes. 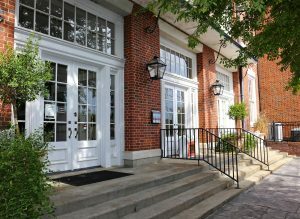 The center features several classrooms, a pottery lab and three kilns. 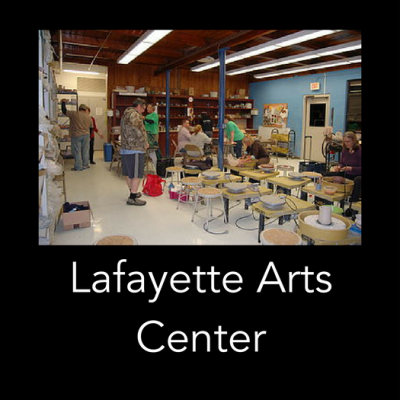 Located adjacent to the Sue McCollum Community Center, the Lafayette Arts and Crafts Center is a great place to show your creativity! The Lawrence-Gregory Community Center is one of the oldest community centers in the Parks and Recreation system. Housing a gymnasium, meeting and activity rooms, it was opened in 1959, and continues to be an important community hub. 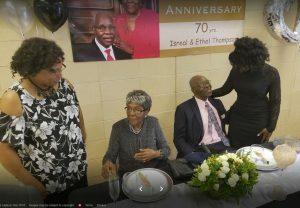 The Center was renamed in 2002 in honor of Mr. James Lawrence, retired Recreation Superintendent, and Beulah Gregory, the first Supervisor of the facility. 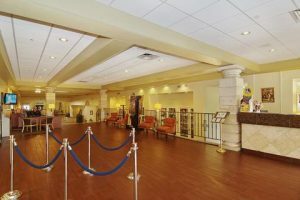 In 2008, the building received a complete renovation. 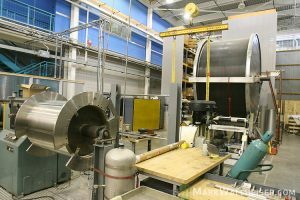 The only facility of its kind in the United States, the National High Magnetic Field Laboratory (MagLab) is the largest and highest-powered magnet laboratory in the world. Every year, more than a thousand scientists from dozens of countries come to use our unique magnets with the support ofhighly experienced staff scientists and technicians. Thanks to funding from the National Science Foundation and the State of Florida, these researchers use our facilities for free, probing fundamental questions about materials, energy and life. Their findings result in more than 400 scientific publications a year in peer-reviewed journals such as Nature, Science and Physical Review Letters. 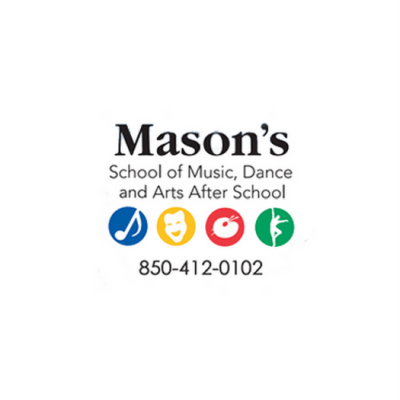 We at Mason’s School of Music, Dance and Arts After School believe that learning the fine arts can provide many benefits to students.These benefits can be the enhancement in the development of young children, increased confidence and pride through achievement, or to provide enjoyment.It is our responsibility to recognize these benefits and to do everything in our power to foster them. Northside Stage exists to build community and connection through the arts. Created by local musicians with a passion for collaboration, Northside Stage provides a venue for local and regional artists to connect with audiences and with each other. Unless otherwise noted, events are free and unticketed. 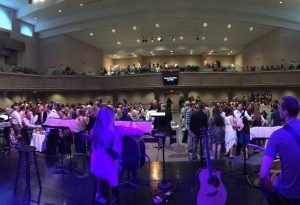 Operating under the umbrella of Wildwood Church, Northside Stage is a faith-based arts organization that is committed to serving our city. Railroad Square encompasses 10 acres in downtown Tallahassee, the previous site of the historic McDonnell lumber yard, which became the Downtown Industrial Park in the 1960′s under owner William J. Boynton, Jr. 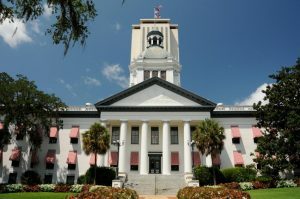 In the mid-1970s his daughter, Nan Boynton, re-envisioned the park as a mecca for artists’ studios and galleries and began to manifest this plan, replacing industrial tenants with regional artists looking for inexpensive studio spaces, including Florida State University’s studio artist program. The current owners, Lily Boynton Kaye and Adam Boynton Kaye, have continued to foster the development of Railroad Square as a unique cultural destination.In the center of Tallahassee, Railroad Square Art Park is within ten-minutes walking distance of both Florida A&M University (FAMU) and Florida State University (FSU), and Florida’s State Capitol Buildings are just one mile away. Railroad Avenue, the road on which one enters the Art Park, is a business artery between the two universities and is home to the historic Amtrak train station. Railroad Square also borders the exciting Gaines Street corridor redevelopment project and the upcoming FAMU Way extension. Host your event at the Riley Center The John G. Riley Center/Museum offers private event space for your business meetings (historical and cultural) in our visitor center, The Sean Pittman Conference Center. 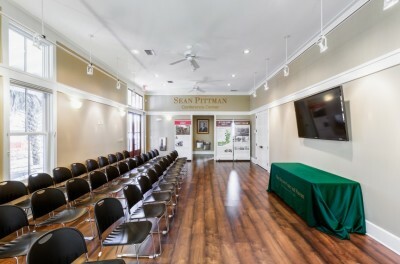 Located in Downtown Tallahassee, our facilities feature large vintage windows, high ceilings, hardwood floors, AppleTV for digital displays, and a kitchenette for your catering needs. 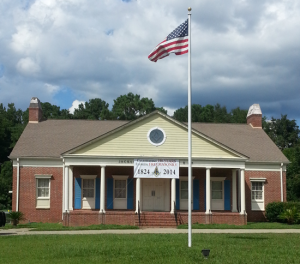 Senior Center offering classes, support, and outreach programs. 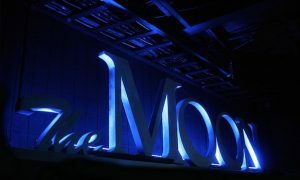 The Moon is Tallahassee’s premier variety showcase for entertainment, hosting major concerts featuring country, rock, reggae, rap, jazz, R&B, and more. We’re so excited to announce phase one of the redevelopment of the former Tallahassee Mall into The Centre of Tallahassee! The property will be transformed into a mixed use development that will make it the center of retail, culture, arts, dining, and entertainment in Tallahassee. Approximately 600,000 square feet of the existing mall property will remain open and operating during the Phase I Redevelopment including anchor tenants: AMC Theaters, Belk, Burlington Coat Factory, Ross, and Barnes & Noble. Approximately 155,000 square feet of existing mall space will be demolished and replaced with two vehicular cross streets, an open air concert venue, an urban park, restaurants, specialty shops, and several special events venues. A new food court and mall entry will be added to the south side of the remaining enclosed mall just across from the Burlington Coat Factory entrance. The remaining enclosed mall will be refreshed with a new interior design package. The former Dillard’s building will be renovated with new ground floor retail, and the second floor will feature a culture & arts center and an entrepreneurship incubator. The development will include a new amphitheater which will bring in 15-20 national acts and will be used by the local cultural arts organizations. 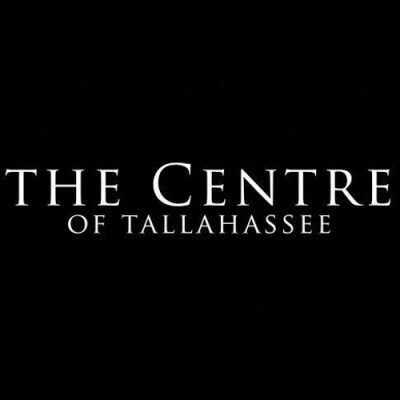 The Centre of Tallahassee will become a true live, work, play development for all to enjoy! The Thomasville Visitors Center is located in the heart of Downtown Thomasville at the corner of Jackson and Crawford Streets, inside the Thomasville Municipal Building & Auditorium.